Now is the greatest time ever to wake up politically to what is really happening in America and in the world. It's the perfect time to wake up and see the corrupt ruling elite in action and in real-time. Mass deception is at an all-time high. Every day the deceivers speak on TV, boldly telling us more and more lies without shame. Your enslavement is at stake and they are the chosen mouthpieces to make this happen. These master deceivers and sorcerers are the reason humanity is where it is today. They are the reason why the 9/11 criminals got away with it and they are the reason for the post-9/11 march toward the new world order that we are in now. 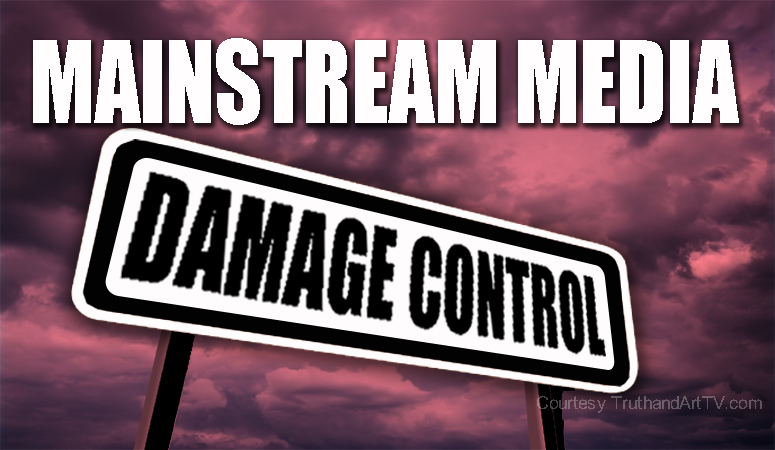 They (the deceptive mainstream media) are the reason for the alternative media and for the truth movement. I'm sure most readers already know this very well. It only follows then that historic revelations and leaks of corruption and lawlessness call for historic lies, deceit and counter propaganda in order to implement some level of damage control. And frankly that is exactly what we are seeing coming from CNN and the rest of the (Hillary supporting liberal left) corporate media in response to the recent Project Veritas Action bombshell revelation of corruption videos produced by James O'Keefe. The video tells a very clear story of corruption going all the way up to the DNC and now Hillary herself. The video conversation cannot expose Hillary and the DNC any more right? We're all thinking, there is no way around these very damning videos right? Actually, there is one thing about the ruling elite and their play-along stooges, there is no situation, no accusation, no video or audio proof, no firsthand testimony, no form of evidence that is too much for them to outright deny, discredit, downplay, ignore or deflect. None whatsoever. So as truth seekers, rather than getting upset with the tactics employed by the criminal elite and their minions, let's admire them and list them for all of us to see. Below are some of Gloria Borger's recent statements followed by my responses. 1- "We don't know where the video was gotten"
Since when does CNN carefully check their sources? Truth seekers that challenge the mainstream media's sources all the time get accused of being "conspiracy theorists", of "harassing" fake victim's families and they get treated like criminals. All that aside, sorry Borger, but the source of the video is not the issue here to begin with. What is seen happening in the video and what is being said in the video is the main issue. We're talking about DNC-Hillary associated criminals talking in front of the camera about things no one is supposed to know about corruption inside the Hillary-DNC team but now they do. 2- "We don't know how it (the video) was edited"
With this statement, senior CNN political analyst Gloria Borger attempts to push the conspiracy (without her actually saying it) that perhaps these videos are a fabrication with carefully constructed fake voice-overs, perhaps photoshopped images and video special effects that make this situation look like it's really happening when it's not. You know. The kind of stuff that THEY (the controllers) would do. Again, the authenticity of the video is not the issue. Remember this is the same CNN that tried to sell us on the laughable Bin Laden death hoax videos of 2011 and the fake ISIS beheadings in 2014. Did CNN question the authenticity of these videos? Now all of sudden all videos are hoaxes until somehow confirmed by CNN to be "authentic". This may quietly be the most stunning thing Borger says here. Notice how they are slowly ushering a world where a firsthand video produced by we-the-people or the average person which SHOWS you their corruption is by default not "authentic" until proven otherwise by them (the mainstream media)! 3- "There are so many unanswered questions to this story"
Really? What unanswered questions? This is Borger's way of suggesting that there is a pile of "questions" out there that are not being asked that would immediately change the context of the reality of these damning videos. Of course we're never told what are these "questions". It's like they are borrowing this term from the truth movement to defend themselves. When critical thinking truth seekers say they (we) have "questions" our questions are concrete and definitive. Borger thus floats the idea of "unanswered questions" without the need to be specific knowing that the concept of having "questions" sounds fundamentally very reasonable. 4- "You see this story, um, it first appears in Breitbart..."
Again, Borger is appealing to the viewers emotions and hearts instead of their critical thinking mind by resorting to the notion that if the story first appeared on a website that our viewers are told not to believe or trust ("one of our enemies") then the whole story is questionable solely on this premise. These are all tactics from a pro who knows how to twist the narrative to deceive the viewers who follow them. Of course Borger knows she's blowing smoke at her viewers and that attacking the messengers in this case has no merit given the context of these videos but that's all part of the propaganda tactic. 5- "I think however this is a story that needs a lot more reporting on it"
As mentioned earlier, Borger is implying without actually saying it that since CNN or the Hillary-mainstream complex hasn't acknowledged the videos then as a whole we are far from the point of being able to say these videos and thus the evidence in the videos are authentic. Because of this previously suggested delusional lie Borger adds to the point by suggesting that THEREFORE "a lot more reporting" needs to be done. In other words she's saying- yeah, we've seen the videos but since CNN hasn't approved it yet, who knows how real it actually is? 6- Jones states that because the report comes from James O'Keefe that ALONE (get this) is "reason to withhold judgment"! 7- "There is no evidence that anything described on these tapes actually took place"
It's amazing how the professional liars attempt to side-step reality in a generation (today in 2016) where the ruling elite are desperately trying to keep the masses dumbed-down smack in the middle of a historic information age where all corruption is now being fully revealed. How do you side-step reality under these circumstances? Question the authenticity of any evidence that exposes what you are doing. This is apparently the strategy including brushing off the revelations as "locker room talk", another new term we can expect to see used much more frequently in the future (including "bar room talk" etc). The "locker room talk" tactic allows them to take anything said on camera and insert it into this imaginary box, the "locker room talk" box. The sheep will accept the new term not even knowing why. Because it's what George Orwell described as newspeak. This was the biggest thing that jumped out at me after watching this CNN segment posted by Project Veritas Action. It doesn't matter how much corruption and evil they (we) expose. We now know exactly how the establishment will respond every time. They will question the authenticity of that new revelation, they will demonize the messenger who exposes them, they will look to press criminal charges if possible on whoever exposes them, and they will present the evidence as "unproven" until they themselves approve of it. Then they will ratchet up their own counter "leaks" and allegations (beware, we should be expecting a huge counter propaganda move very soon!!) as a counterattack and to distract the public from the Clinton leaks that are coming out seemingly every day now. This, my friends, is how professional political propaganda works. This is similar to the careful skill and delicacy involved in the "plausible deniability" tactic described by Scott Foval in the recent videos. It's subtle and it's a skillful way of doing something without showing the strings that connect to the puppet master giving the orders, in this case Hillary and the DNC. What all of this means is that it really is time for everyone to wake up and realize once and for all that the mainstream media is constantly lying to us and we can't expect them to turn on their own kind. We can't expect the mainstream media to take our side and help us expose the corruption when they themselves are a large part of that corruption. It really is time to spread this awareness and to truly prepare for a new paradigm which is already well underway. Let's signal to these liars at CNN that they are exposed and their time is coming. There is too much goodness in humanity for the dark and oppressive mainstream media led machine to continue doing what its doing to humanity. Their lies and deceit must be exposed. Endless wars must stop. The US empire and their global propaganda and information control must be acknowledged for what it is. Thankfully, one of the little things all of us can control which is very effective is our ability to share this information and help spread it across the globe. Let's do that!